Variable neighborhood search (VNS) is a framework for building heuristics, based upon systematic changes of neighborhoods both in a descent phase, to find a local minimum, and in a perturbation phase to escape from the corresponding valley. In this paper, we present some of VNS basic schemes as well as several VNS variants deduced from these basic schemes. 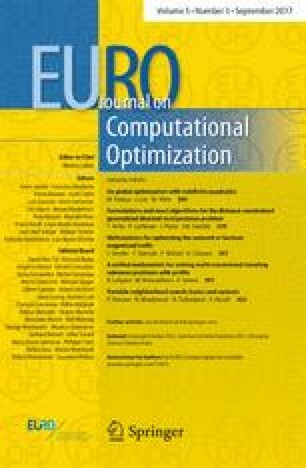 In addition, the paper includes parallel implementations and hybrids with other metaheuristics.